Dr. Kashyap is India's only tripple American Board certified surgeon - Diplomat American Board of Plastic Surgery and Diplomat American Board of General Surgery. 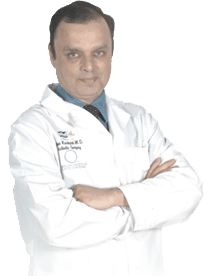 In May, 2005 he moved to New Delhi after 17 years of practicing medicine in the USA, spending the last ten years in the Greater Boston area in Massachusetts. 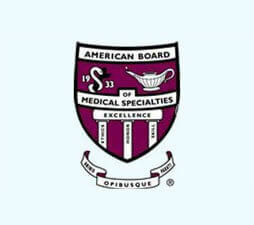 He has had an academic appointment as Assistant Professor at the University of Massachusetts Medical School. Although age is not a significant concern, older people may have less skin elasticity and may not achieve the same results as a younger person with tighter skin. In recent years, improved techniques have made liposuction safer, easier, and less painful. These newer techniques include: Many surgeons perform Liposuction in India but the expertise is found only with Dr. Ajaya Kashyap, a Tripple American Board Certified Cosmetic and Plastic Surgeon, having 27 years of experience in performing liposuction surgery in India. Liposuction successfully removes stubborn fat deposits, targeting specific areas of the body to remove fat. Common target areas include thighs, buttocks, abdomen, arms, neck and under the chin. Liposuction slims and reshapes resulting in improved body contours. 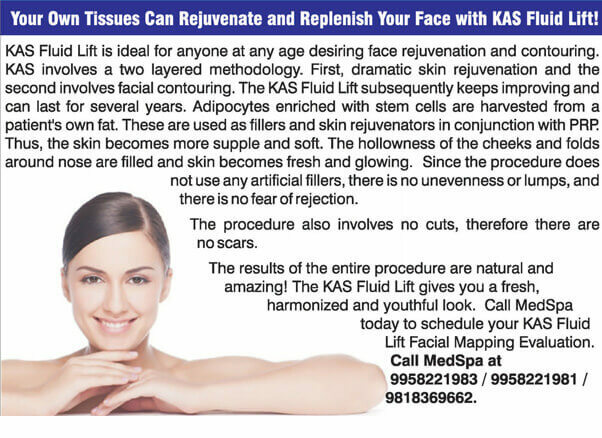 Dr Kashyap uses the safest and unique technology for Liposuction in Delhi. 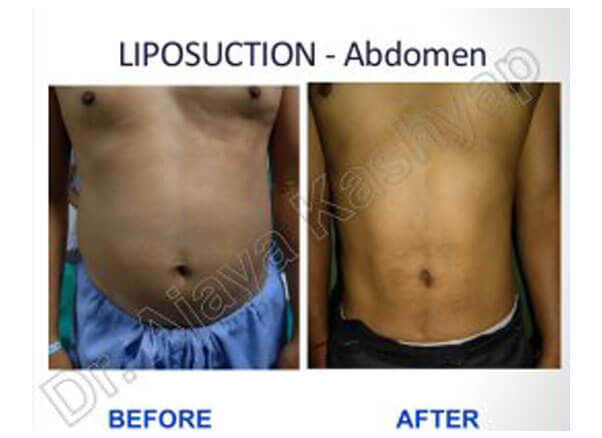 His 27 years of experience and qualifications being a Tripple American Board certified plastic surgeon allows him to deliver the best liposuction surgery in Delhi at affordable liposuction cost in Delhi. 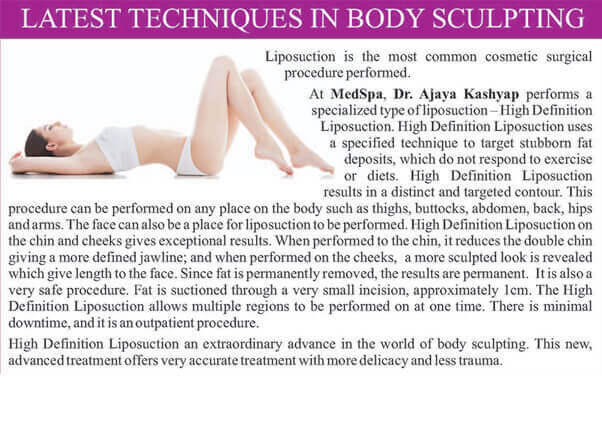 Dr. Ajaya Kashyap welcomes anyone interested in knowing more about their options with regard to liposuction surgery or body contouring procedures to seek a complete and thorough confidential consultation with him about their candidacy for these procedures. If you are looking for a best liposuction surgeon in Delhi to get a liposuction surgery in Delhi, India at affordable cost/price. You may visit us for a confidential consultation on procedures by our expert plastic cosmetic surgeon Dr. Ajaya Kashyap. 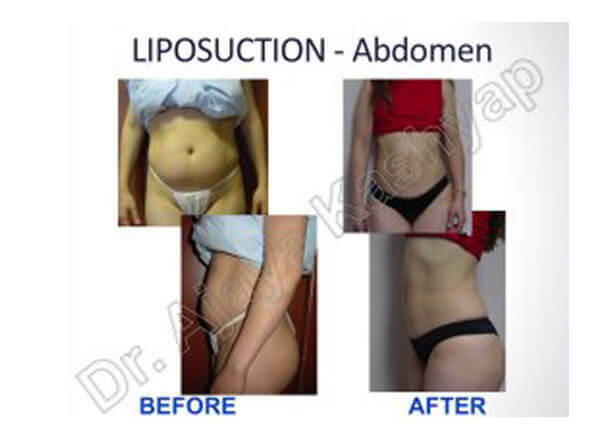 A successful VASER liposuction, water jet assisted liposuction can change your life style. 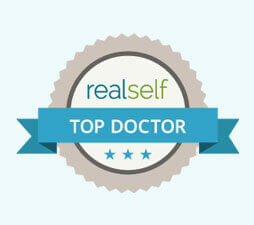 Tumescent Liposuction, one of the most popular forms of cosmetic surgery. It is a Super-Wet Technique requires an infusion of Saline solution with Adrenaline. A local anesthetic is used to numb the area of your body where the tube will be inserted. Next, a large amount of an anesthetic solution containing lidocaine and epinephrine is injected into the fatty tissue before traditional liposuction is performed. Tumescent liposuction may not require general anesthesia (which makes you sleep through the procedure). 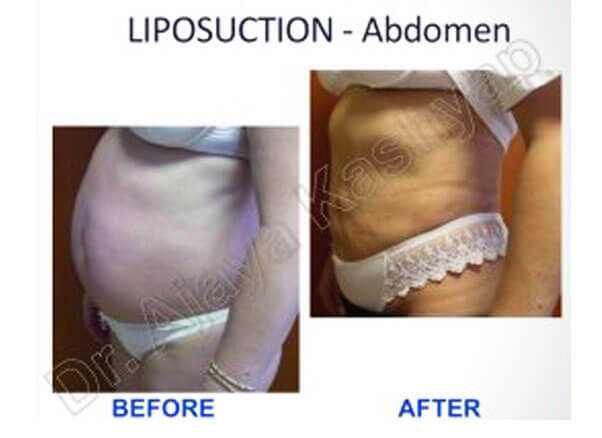 Laser assisted liposuction takes advantage of the power and technology associated with heat and medical Laser Beams to liquefy the fat which is then sucked out of area. This technique may be particularly helpful in removing fat from the upper abdomen, sides, and back. Accepting yourself as you are – talking to a counselor or psychologist may help you overcome your concerns about your appearance and you may decide that you like yourself the way you are. If weight gain is becoming a problem for u, and exercise and diet just haven't given you the dramatic transformation you’d like, then VASERlipo can help. VASERlipo uses a precise, minimally invasive liposuction technology that produces effective results in just one procedure and the technology provides many benefits as compared to traditional liposuction treatments. 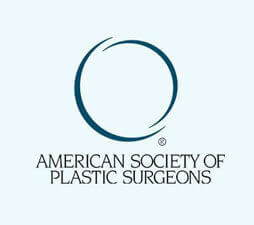 The procedure is tissue- selective, targeting fat while protecting other tissues from damage. It’s powerful enough to eliminate substantial areas of fat but gentle enough to treat delicate areas such as the neck and arms. VASER liposuction is clinically proven to produce even results in treated areas, leaving your skin smooth and your body beautifully contoured. 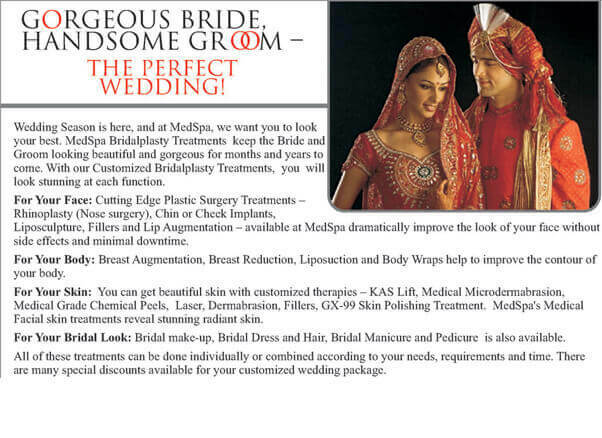 Long Lasting results in a single procedure. Removes large amounts of pure fat only. Smooth skin even in delicate areas like the arms and neck. Effective results as compared to other techniques. Minor Incision of just 1 cm. 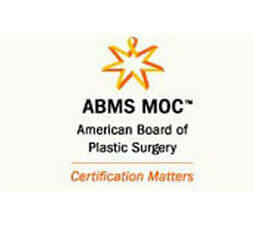 Body-Jet is a recent development in cosmetic and plastic surgery. 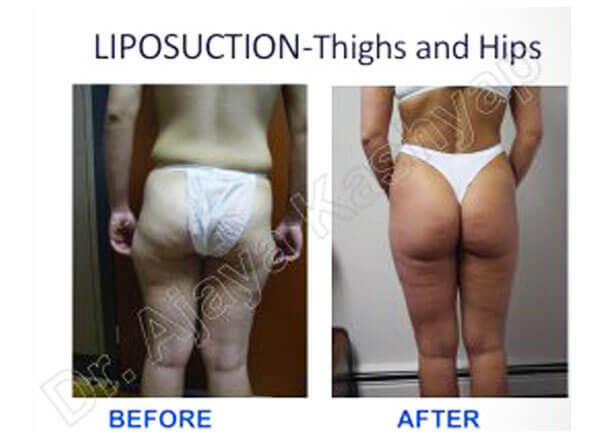 This specialized liposuction technique is highly effective and gently washes away fat cells in any area of the body, safely and with minimal tissue trauma. This technique, being easier on the tissues, results in less bruising and swelling, allowing patients on the path to a quick recovery. Body Jet Liposuction can be used on a single region or on multiple areas in one surgical session. Areas which can be targeted include arms, hips, thighs, back(upper and lower), stomach, breasts and buttocks, giving smooth desirable results. This technique, Body Jet Liposuction, is much easier on the tissues, resulting in less bruising and swelling.It is highly effective and more comfortable, with an advantage which allows patients on the path to a quick recovery, achieving a smooth, natural appearance. 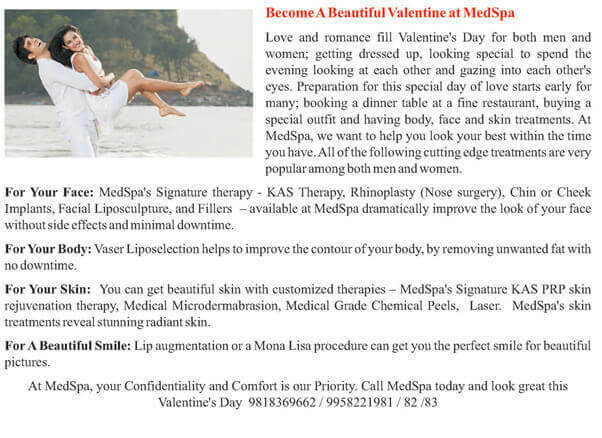 Tag :- liposuction, liposuction surgery, liposuction cost, liposuction in Delhi, liposuction surgery before and after, liposuction procedure, liposuction of arms, liposuction of face, liposuction of thighs, liposuction arms, liposuction price, liposuction gynecomastia, liposuction for breast reduction, liposuction of abdomen, liposuction of stomach, liposuction chin, liposuction tummy, liposuction love handles, liposuction thighs cost, liposuction hips, liposuction for men, liposuction vs tummy tuck, liposuction neck, liposuction tummy before and after, liposuction of chest, liposuction health benefits, liposuction before and after photos, liposuction fat transfer cost, liposuction under chin, liposuction upper abdomen, liposuction upper back, liposuction surgery cost India, liposuction surgery cost, liposuction surgery cost in Delhi, liposuction surgery before and after pictures, liposuction surgery for gynecomastia, liposuction in India, cost for liposuction in India, price of liposuction in India, liposuction surgery in India, cost of laser liposuction, best liposuction in India, best liposuction surgeon in India, VASER liposuction cost in India, best liposuction doctor in India, is liposuction safe in Delhi, liposuction for gynecomastia cost in India, liposuction for arms cost in India, average cost of liposuction in India, how much cost is liposuction in India, non surgical liposuction in Delhi, tumescent liposuction, price, surgeons, clinic, cosmetic surgery in Delhi, cosmetic surgeon in India, plastic surgery in Delhi, plastic surgeon in India, Medical Tourism India, Healthcare tourism in India, India medical tourism, Best Hospital in India, Best Doctors in India, Affordable treatment in India, specialist liposuction surgeon, gynecomastia, gynecomastia surgery in India, male breast reduction in Delhi, body jet liposuction in Delhi, water jet assisted liposuction in India, plastic surgery for men, liposuction surgery in south Delhi, low cost surgery clinic, cosmetic surgery in Vasant Vihar, New Delhi, Gurgaon, Noida, Ghaziabad, best liposuction surgeon in India, fat removal surgery cost in Bangalore, Gujarat, Chennai, Hyderabad, Bihar, Mumbai, liposuction international patient Mexico, Mongolia, Morocco, Myanmar, Netherlands, Norway, Peru, Oman, Philippines, Poland, Portugal, Qatar, Romania, Russia, Saint Lucia, Yemen, Yugoslavian, Zambia, Zimbabwe, Lebanon, Liberia, Macedonia, Madagascar, Malaysia, Maldives, Mali, Albania, Algeria, Angola, Bahrain, Barbados, Belgium, Bermuda, Bhutan, Bolivia, Brazil, Bulgaria, Cambodia, Cameroon, Chile, China, Colombia, Costa Rica, Cuba, Denmark, Dominica, Egypt, France, French Guiana, Georgia, Germany, Ghana, Greece, Greenland, Guyana, Hong Kong, Finland, Fiji, Hungary, Indonesia, Iran, Iraq, Ireland, Israel, Jamaica, Italy, Japan, Jordan, Kazakhstan, Korea, Kuwait, Saudi Arabia, Singapore, South Africa, South Georgia, Spain, Sudan, Sweden, Switzerland, Syria, Taiwan, Tajikistan, Thailand, Turkey, Tunisia, Ukraine, United Arab Emirates, USA, UK, Canada, Australia, New Zealand, Nigeria, Kenya, Ethiopia, Uganda, Tanzania, Zambia, Congo, Sri Lanka, Bangladesh, Afghanistan, Nepal, Uzbekistan, Venezuela. www.bestliposuctionindia.com - All rights reserved 2016 - 2019.